Adding in vibrant elements of fun is a great way to gussy up a room and bring a little whimsy to the house. 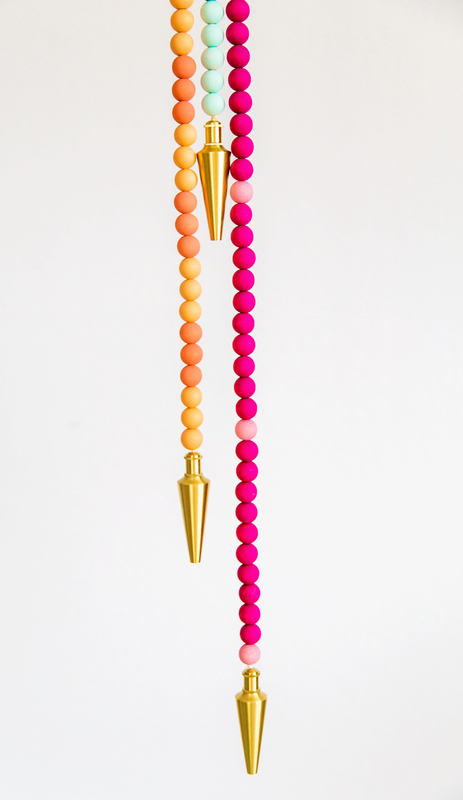 Although this can be as simple as blowing up a package of balloons, for something more lasting we created this painted bead & brass garland. Instead of hanging across the wall – it hangs straight down giving a more long lasting work of art form. Something that you can hang up for the weekend party and then leave for the rest of the year! 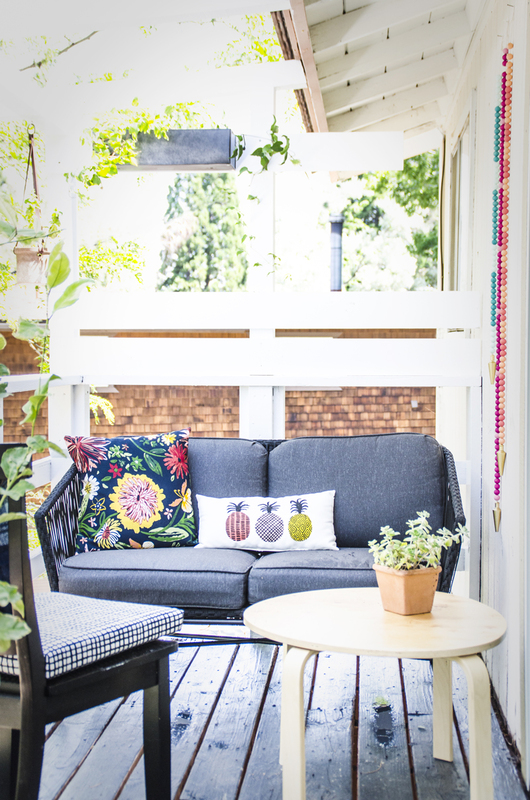 We’ve hung ours on the deck for a perfect pinch of color on an otherwise blank wall. I love creating party elements that don’t need to be thrown away after all the cake is gone! 1. 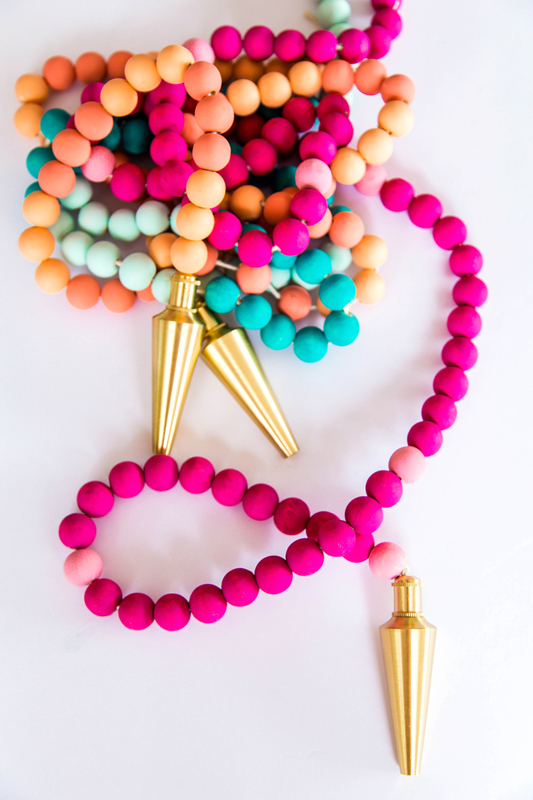 Paint the beads a color of choice. Although this projects could be done in rainbows, I like the effect of keeping each strand in a similar color family. 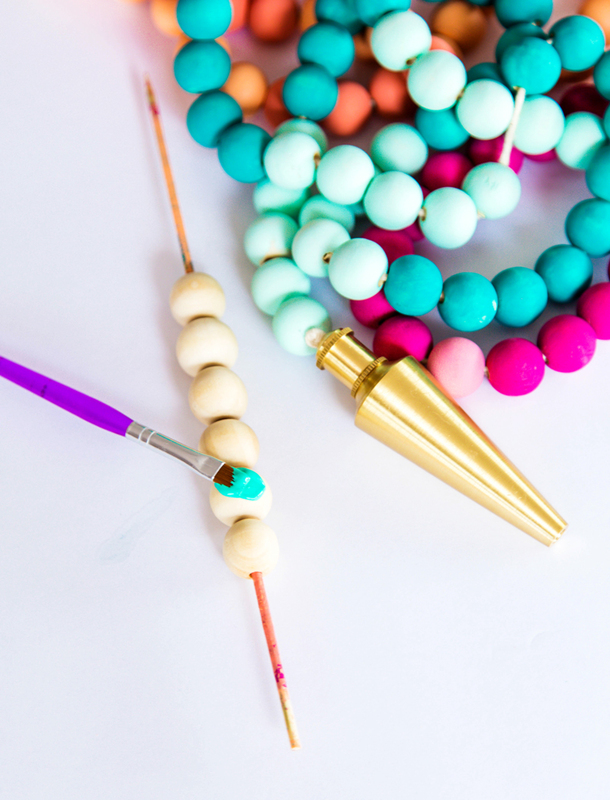 the easiest way to paint the beads is to string them onto a wooden skewer – which allows them to be held and painted quickly. Place the skewer in a small cup for seamless drying. 2. 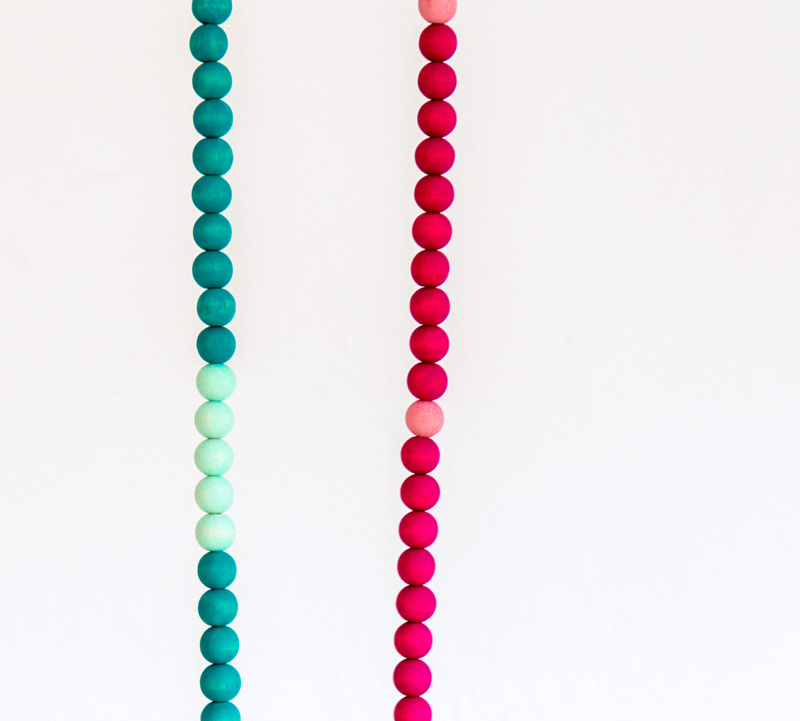 Once the beads are dry, string onto a thick thread for hanging. This is not the time for tiny embroidery thread! The garland is pretty heavy with the wood and brass so go for something a little thicker for this project. 3. 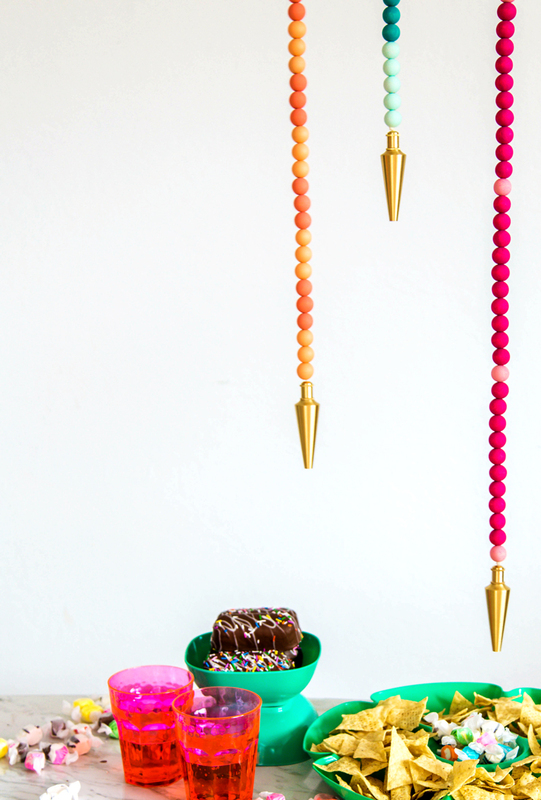 Finish each strand of garland off with a brass plumb bob for a gorgeous way to fill a wall with fun & color. PS. All the party garlands. This so gorgeous and inspired! loooove the wood and brass combo!